It's the beginning of Second Grade for my twins beginning on September 6th. 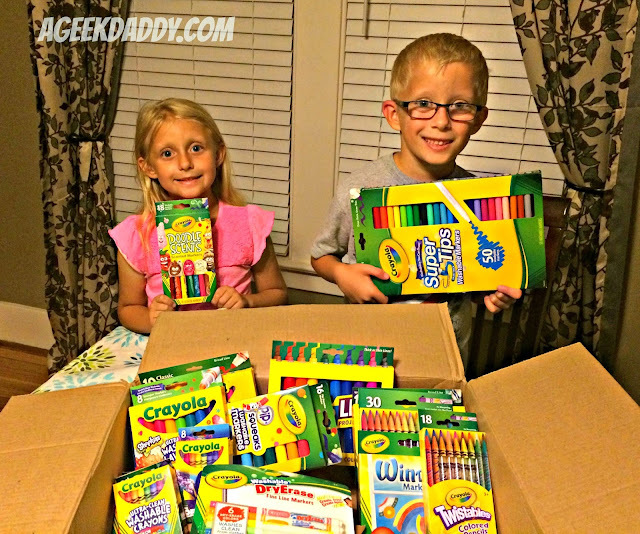 Thanks to a complimentary box of crayons, markers, and colored pencils, Crayola sent our way my kids will be well stocked for returning to school. Getting a brand new box of Crayola crayons was always a fun part of returning to classes after summer break for all the neighborhood kids when I was in elementary school. If you were lucky your parents would get you the monstrous 64 crayon super box with a built in sharpener in the package. 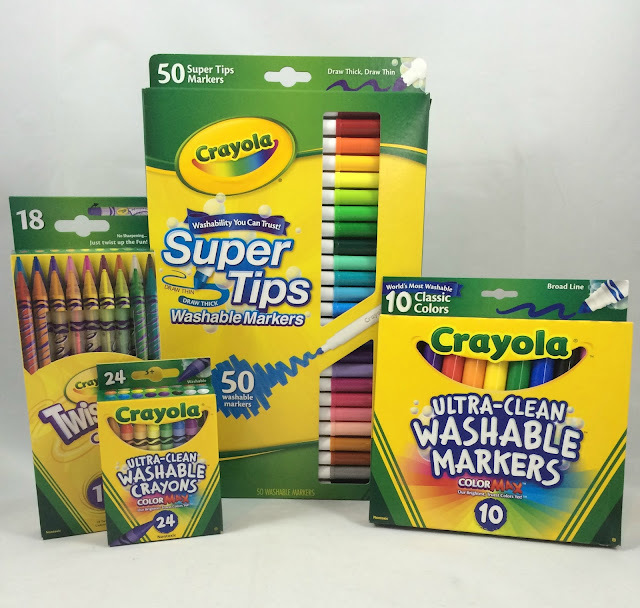 Buying Crayola products when it comes to back to school shopping is still a family tradition but for my kids they now have many more tremendous products to choose from then when I was their age. One of the modern updates to Crayola products that I really appreciate as a parent is their line of Ultra-Clean Washable markers and crayons. 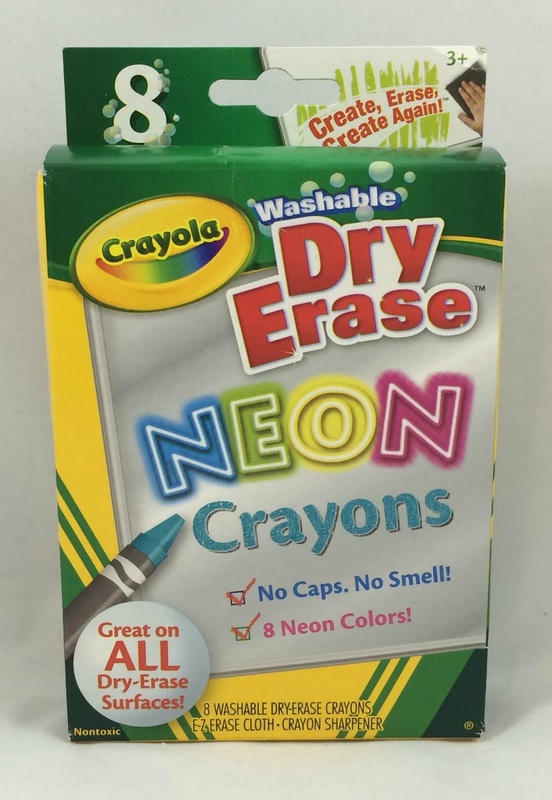 These non-toxic crayons and markers are specially formulated to wash clean from skin, clothing, and even painted walls. 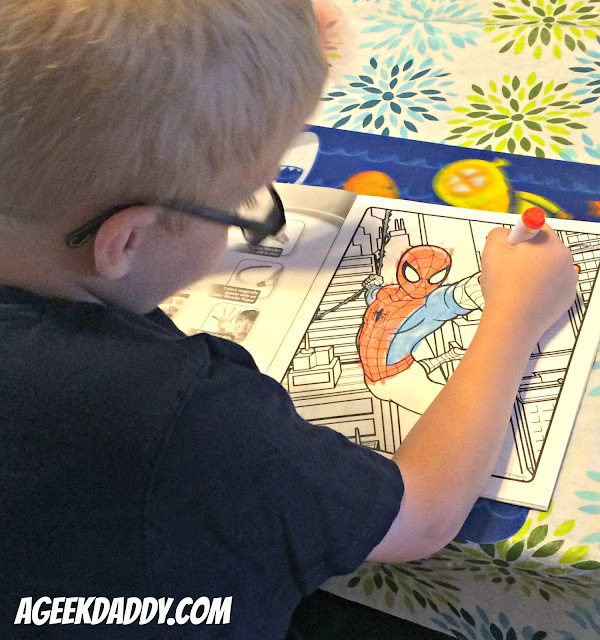 Featured in classic colors as well as in a variety of other fun shades kids can engage in self-expression without parents or teachers worrying about having to cleanup a mess. 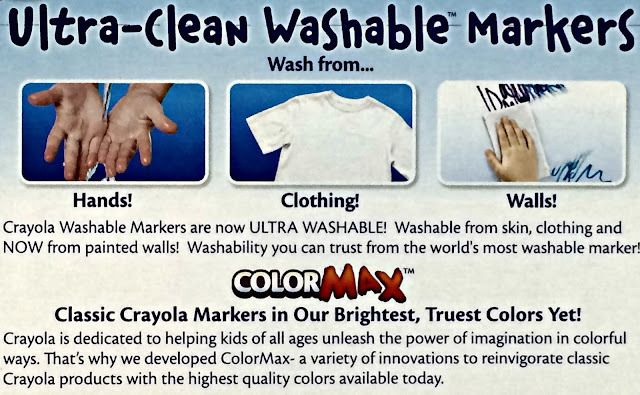 Today's children can create more vibrant art work then when I was a kid with Color Max products which provide the brightest, truest colors that Crayola has ever offered. Look for Crayola's Ultra-Clean and Color Max labels when doing back to school shopping. In many class rooms, traditional black chalk boards have been replaced with more modern white dry erase boards. 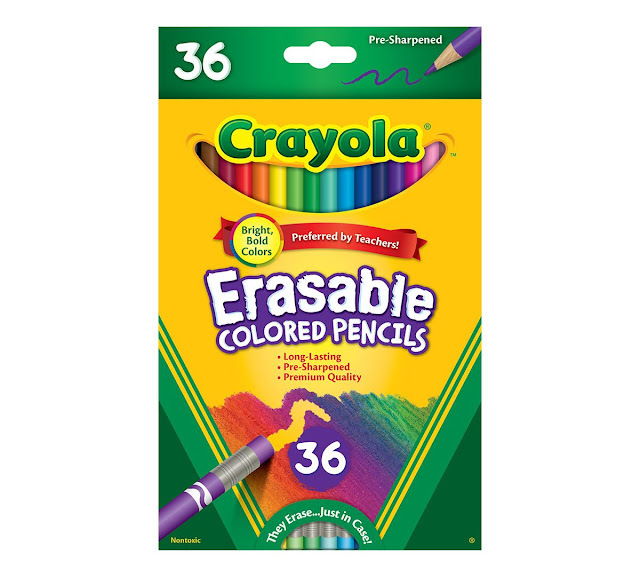 Crayola offers a variety of dry erase crayons ranging from traditional shades to cool neon colors. What kid wouldn't enjoy creating school projects and personal works of art with markers infused with tasty and funny scents such as Buttered Popcorn and Barn Yard. 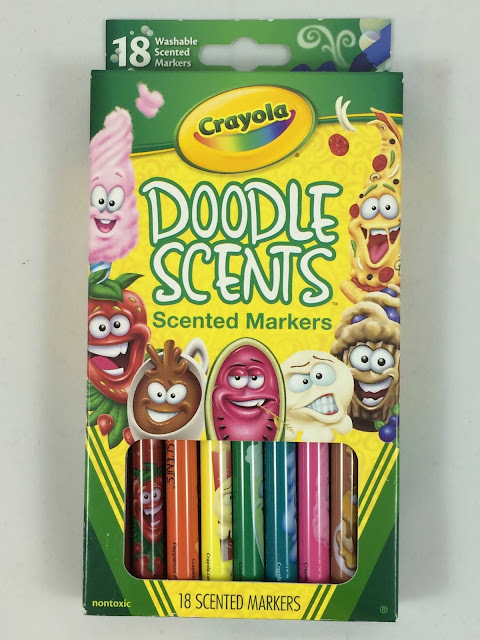 Each scented marker in the Washable Doodle Scents pack is also decorated with fun character illustrations inspired by its smell. My daughter just adores these Doodle Scents markers! My son really enjoys using colored pencils in the drawings and illustrations he creates. Crayola's Twistables and Erasable colored pencils have worked out really well for him. I hadn't thought about it until he started using Crayola Erasable colored pencils but most brands really aren't very erasable. With these easy-to-erase pencils from Crayola, kids can easily make changes or fix mistakes without worrying about having to start over again. 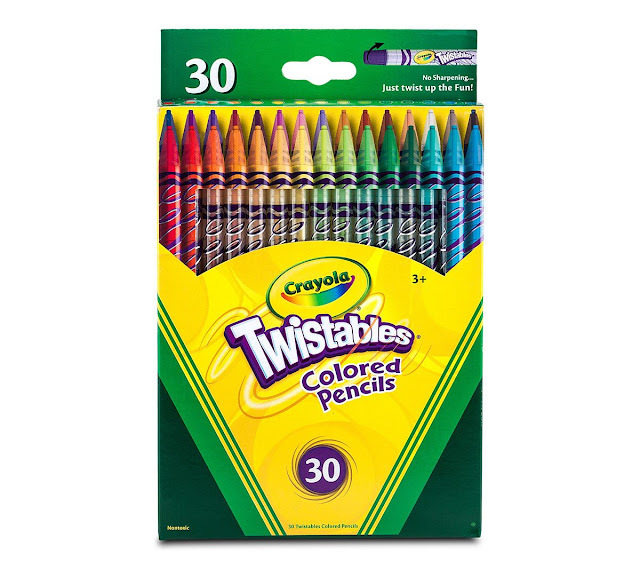 Twistables allow users to avoid having to sharpen or peel a traditional wood colored pencil. The clear plastic shell shows how much color is left and protects a pencil from breaking while it's being used.